Last week was a pack-filled week for me. Busy with grandchildren, PTA, volunteering for Bicycle Rodeo, working on orders and getting them ready to be shipped. It was fun, hectic and at times chaotic and frustrating. Many plans were placed on hold. Today is repairing boo-boo’s. My youngest granddaughter showed me that her precious ni-night had a boo-boo. She is napping and I have pulled out the yarn and crochet hook to begin hooking the unraveled loops back together. 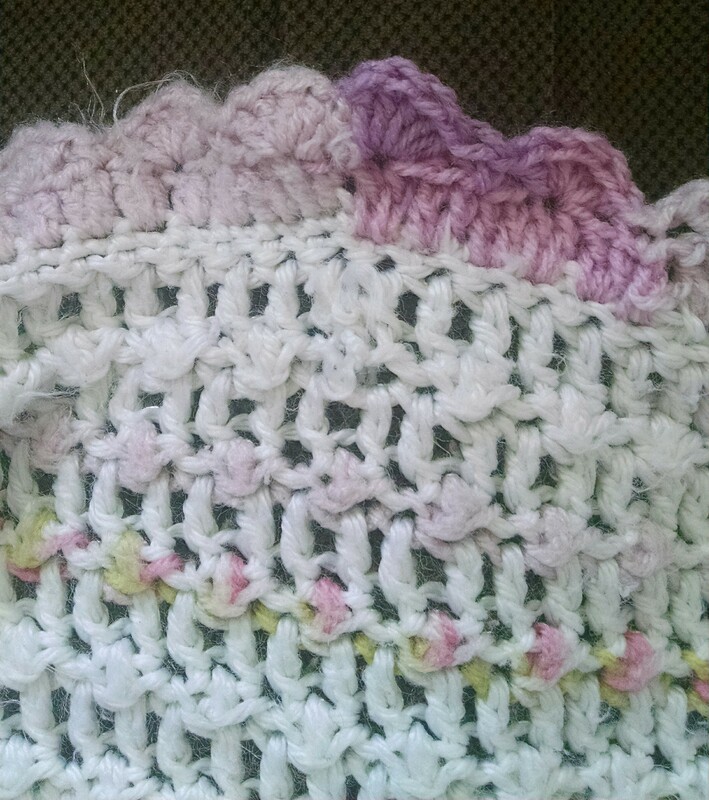 While crocheting I recall her sweet cherub face looking at me with hopeful anticipation that I could fix her wounded blanket. Life is like that. Schedules unravel and we either look for someone to help us repair it or we depend on ourselves for the same resolution. My well planned scheduled unraveled last week and in my mind I didn’t get a thing done. Of course, that thought is a lie. I just didn’t accomplish what I thought should be done. But what was accomplished was meant to be done. Next Post Fall Has Arrived! Great post Robin. It made me smile and laugh. I can relate. I love the boo-boo repair. Is the dark purple yarn the bandaid? Yes. Great color for a bandaid, wouldn’t you agree?